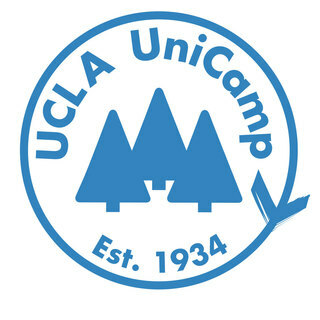 Hey everyone, its the start of camp season for UCLA Unicamp and this year I am grateful to be a Unicorps Advisor for the Outdoor Education session! This year I have the goal of raising $1200 in order to help send teenagers from underrepresented areas to camp and I could use any support that you would be willing to give. In order to explain to you all why I love Unicamp, its message, and its direct impact on peoples' lives, here are my favorite aspects of Unicamp and its mission towards helping others. 1. Personal Empowerment: Having volunteered for the Village Session last year, I was able to see that many of my campers often believed they had little to no chance of going to college, let alone graduating high school. Coming from underrepresented areas, they are often told these things constantly and don't see their true potential. Through Unicamp's workshops on personal/professional development and mentality training, many of my campers started to realize that they COULD have big goals for their future and COULD graduate from college, obtain their dream jobs, and live a successful and happy life. By teaching them that they themselves control their own success, many of my campers started to take action to getting goals such as getting a 4.0, becoming a starter for their athletics team, and becoming confident in themselves. 2. Woodsey Community: Having only done Unicamp my second year, I didn't know what to exactly expect at camp, but after arriving at Camp River Glen, I quickly realized what the Woodsey magic was all about. Through the use of fake names and no electronics, campers and counselors are able have an "escape" from their real lives and really focus on improving themselves and enjoying the true beauties in life: nature, friendship, and community. In just a short span of a week, strangers become close friends, campers and counselors get Woodsey "married", and one is able to leave camp with a completely new and refreshing mentality towards their own growth once they get home. It is truly amazing and beautiful and I can't wait to see how I will grow when I go up to camp this summer. 3. Service/ Outdoor Appreciation: Being on Unicorps this year, I will be focusing on showing high-school students how to incorporate service into their daily lives along with teaching them how to maintain and better the environment. Living in LA, I often forget what it feels like to be submerged in nature, but after going to camp and seeing its beautiful greenery and fresh air, I have a grown an even greater appreciation for the natural beauties of our world that have been kept untouched. At camp, my goal will be to teach my campers how to preserve the environment while also teaching them how to appreciate nature on a daily basis. If you've read all of this, thank you and please support me in helping me achieve my goal of getting kids to camp this summer. Any support you give would mean the world to me! !